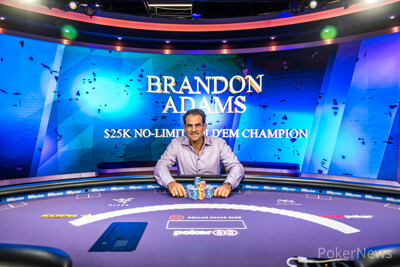 The tournament began with an impressive group of players at the PokerGO Studio just outside of the Aria Resort and Casino and when the dust had settled it was Brandon Adams taking down Event #2: $25,000 No-Limit Hold'em at the Poker Masters. The final table chipleader to start Day 2 was Jared Jaffee, who found himself in a spot that would almost always be a win with his flopped set against Adams and his pair of aces. 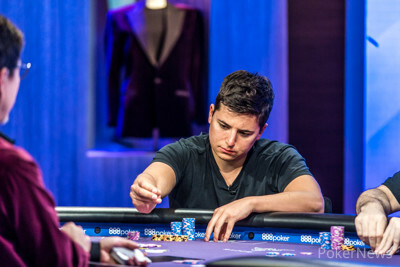 The board went runner-runner full house for Adams, leaving Jaffee short stacked and giving Adams a commanding chip lead that he used to lean on his opponents. The Day 2 Chipleader and Adams would end up dueling it out in a heads-up match, with Adams having a seemingly overwhelming chip lead. The battle would end shortly after starting, just two hands into play and Adams would emerge as the victor. Jaffee would pocket a respectable $262,000 for his efforts and earn 210 towards the Purple Jacket. The heads-up play last just two hands before short stack Jaffee moved all in from the button, being snap-called by Adams. Jaffee's king high was behind Adams who was holding ace high. The turn gave Jaffee a lot of outs to stay alive and double up but he failed to do so as Adams took down the pot with his ace high, eliminating Jaffee in second place. 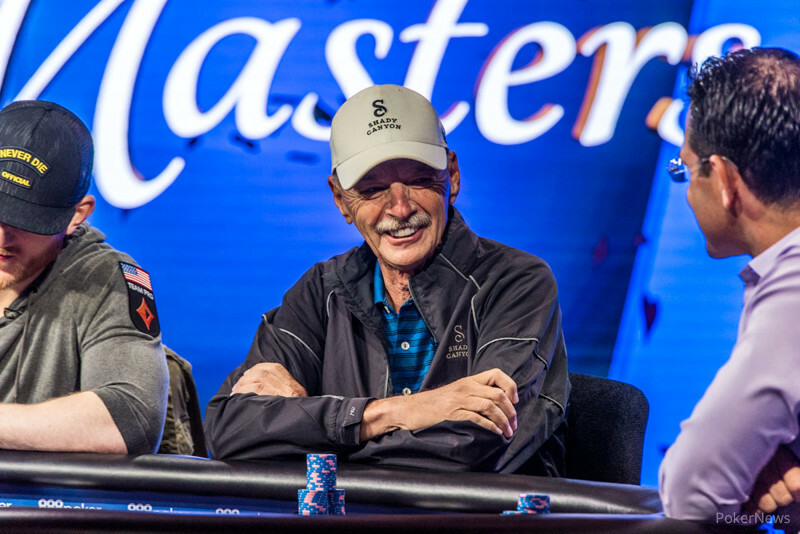 Adams is no rookie to the Poker Masters, winning Event #4 $ 50,000 No Limit Hold'em last year and placing fourth just yesterday in Event #1: $10,000 No-Limit Hold'em. Today's victory has moved Adams to the top of the 2018 Purple Jacket Rankings and he will surely be looking to add to his lead. This concludes the PokerNews coverage of Event #2: $25,000 No-Limit Hold'em here at the Poker Masters. Coverage of Event #3: $25,000 Pot-Limit Omaha is currently in progress, and make sure to stay tuned to PokerNews.com for all the 2018 Poker Masters updates. Jared Jaffee started heads-up play as the short stack, on just the second hand he found himself all in and with a caller in Brandon Adams. The players turned over their hands and Jaffee would be at risk of elimination. The dealer fanned out a flop of , not improving Jaffee's hand as he would need to connect to stay alive. A fell on the turn, giving Jaffee more outs to double up. The hit the felt on the river, missing Jaffee's hand completely and giving Adams the pot, eliminating Jaffee from the tournament and taking down the tournament. 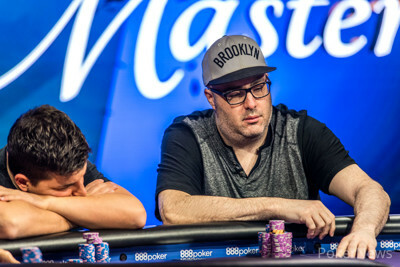 Brandon Adams moved all in from the small blind, Jake Schindler called his remaining 1.075M and the players turned over their hands, with Schindler at risk of elimination. The flop came down and Adams was still ahead with his ace high. The turn gave Schindler a lot of added outs as the landed on the felt. When the came down on the river, Schindler failed to connect and Adams took down the pot, eliminating Schindler from the tournament. Brandon Adams is applying immense pressure on his opponents and is starting to pull away with the chip lead. Brandon Adams limped the small blind, Jake Schindler raised to 240,000 and Adams made the call. The flop came down and Adams check-called a bet of 280,000. The turn came the and both players checked to the on the river. Adams moved all in for 1.26M, Schindler thought for a moment before throwing his cards into the muck, giving Adams the pot. Brandon Adams opened to 150,000 from the button, being called by both Jake Schindler in the small blind and Jared Jaffee in the big blind. The flop came down , action checked to Adams who bet 250,000, Schindler folded and Jaffee moved all in for more than enough to cover his opponent. Adams made the call and turned over for top pair. Jaffee tabled for a flopped set and Adams would need some help. A on the turn gave Adams some outs on the river to stay alive and the that hit the table was one of those outs, giving him a runner-runner full house. Adams took down the pot with his full house and now has the chip lead during three-handed play after that hand, leaving Jaffee as the short stack. Jake Schindler limped the button, Jared Jaffee called from the small blind and Brandon Adams raised to 240,000 from the big blind. Schindler made the call, Jaffee folded and the flop came down . Adams instantly moved all in and was snap-called by Schindler. Players turned over their hands and Schindler would be at risk of elimination. The turn came down a and Adams would need to pair up on the river to eliminate Schindler. A on the river changed nothing and Schindler found a double up through adams.